Spread: In the summer months mosquitoes carry the virus to humans from infected birds. 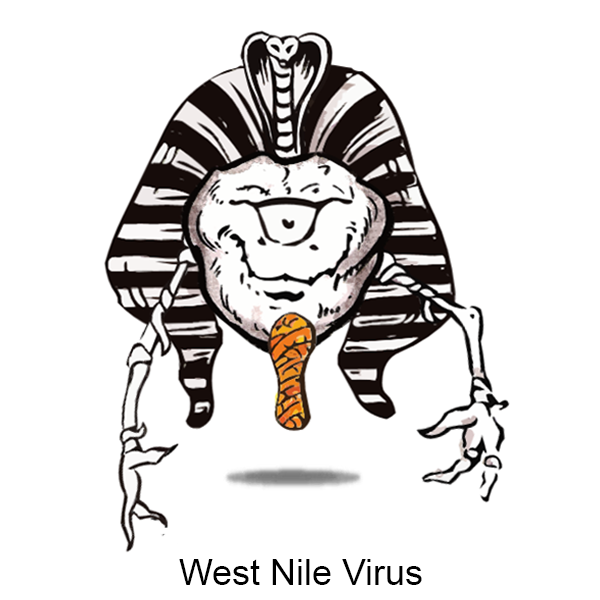 West Nile Virus was first detected in the Western Hemisphere in 1999 and has spread rapidly across North America. Who is at risk: Less than 1% of people who are infected with this virus develop serious illness. Those at highest risk for serious illness are the elderly and persons with a weak immune system. However, persons of all ages can develop serious illness. Prevention: Protect yourself from mosquito bites using 35% DEET insect repellant. Prevent breeding areas for mosquitos like old tires and containers outdoors that tend to hold rain water.